We hold expertise in providing premium and superior quality Abrasive Nylon Cup Brush that is manufactured using quality approved material in compliance with quality standards. This product is available in different sizes, designs as per the requirements of our clients. We offer our clients this product in various packaging options and supplied within the stipulated time frame. Our valued clients can avail this product at pocket friendly price from us. 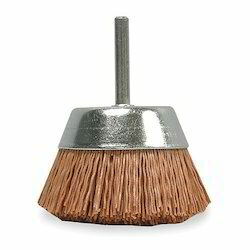 We are offering a wide range of Abrasive Cup Brush which is designed for use in high speed air and electric tool both portable and stationary machines They are ideal for fast heavy duty cleaning of large surfaces removing weld scale rust burrs etc. Ideal for buffing, cleaning ,light deburring, flash removal surface finishing, polishing , paint & varnish removing, rest & oxide , weld preparation, weld cleaning and much more. 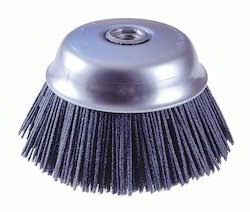 Abrasive Brush of crimped wire with suitable keyway in stainless steel wire , carbon steel wire, nylon wire in various sizes. The offered wheels are sourced from most authentic vendors in the market and are precisely engineered using supreme grade metal and ultra-modern tools in compliance with set industry norms. We offer these wheels in number of sizes and designs in order to meet vast necessities of our valuable clients. 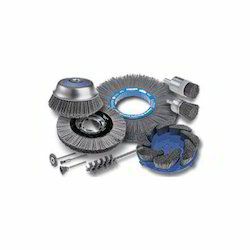 Our organization offering a premium wide collection of Abrasive Brush that are available in market in various sizes and shapes. These offered product range are manufactured by using quality raw material and highly demanded by our valuable clients for their high performance. 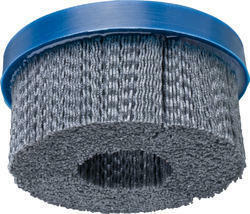 Disc Brush offered comes in quality material support comprising PA, PP and others.